On August 27 1939 a bomb exploded near the door of Blackpool Town Hall. It was part of an IRA campaign which involved English cities especially Liverpool. The most famous participant was Brendan Behan who wrote about his experiences in “Borstal Boy.” The events were soon overshadowed by more serious matters. In October 1984 the Grand Hotel in Brighton was bombed. 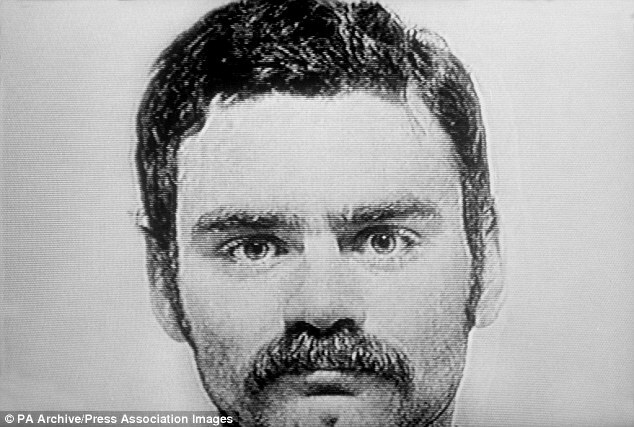 The man most closely connected with the Grand Hotel bombing was Patrick Magee. In April 1983 Patrick Magee was in Blackpool. He was victim of a bold “sting” operation by British Intelligence. Central to the sting was Raymond O’Connor who was about 50 and lived in Milbourne Street, Blackpool. Raymond O’Connor was a petty crook and a heavy drinker. He was also the step-father of Thomas Maguire. Thomas Maguire was a Dublin schoolteacher, a graduate of Trinity College Dublin. Raymond O’Connor said he looked on him as a son. In January 1982 Thomas Maguire visited his mother in Blackpool. Thomas expressed an interest in helping the Republican Cause. Raymond O’Connor had been in the Royal Air Force and had received medical treatment at Weeton Barracks. He was familiar with the layout of the barracks. Thomas and Raymond visited the area. According to Raymond O’Connor he: (Raymond) “could not bear what was going on,” and contacted the Police. In February 1983 Raymond met senior Provisional IRA figures in Dublin. He met three senior figures in the Provisional IRA: Brendan Swords, “a Gerry Adams lookalike”, and a man with a pot belly. The meeting was to evaluate an operation aimed at the Eagle and Child pub in Weeton, a pub used by soldiers from Weeton Barracks. The Second Battalion of Light Infantry were based at Weeton Barracks. The Provisional IRA were especially interested in the Barracks because SAS and RUC units were trained there. This information came from Raymond O’Connor. It was not true. In April 1983 Patrick Magee and Patrick Murray came to Blackpool. They were followed by the Intelligence Services and photographed wherever they went. Patrick McGee who was known as “the Mechanic” and his colleague Patrick Murray, “the Minder” had a plan. They were to park a Cortina at the Eagle and Child. That car was to be replaced by a hired van with a bomb and McGee was to drive off in the Cortina. Patrick Magee knew that they were being watched and in April 1983 in an carefully pre-planned move he evaded four cars in a a high speed car chase. Patrick Mcgee and Patrick Murray abandoned the car in the car park of Preston railway station with the doors still open. In fact they did not take the railway. Patrick Magee had been aware that he was being watched at a very early stage. It is hard to believe that Patrick Magee was not interested in the Imperial Hotel, Blackpool, where the Conservative Party were to hold their conference in October 1983. The easiest way to look at the place would be to book a room there with a female partner. This is exactly what Patrick Magee did at the Grand Hotel Brighton. In October 1984 the Grand Hotel Brighton was bombed. The bomb had been placed by Patrick Magee. Five people lost their lives and Mrs Thatcher was lucky to survive. I am amongst Mrs Thatchers’s most ardent dislikers but one cannot help but admire the aplomb which Mrs Thatcher showed on this occasion. Patrick Magee was eventually tried and sentenced to eight life sentences. He was freed as part of the Good Friday agreement. He has since taken part in reconciliation activities. During the trial the officer handling Raymond O’Connor says that he is unreliable. Have the authorities formed a queue to shoot themselves in the foot? The intelligence services may be unethical but they are not stupid. They may have been embarrassed by their failure to apprehend Patrick Magee. Raymond O’Connor showed courage when he met the IRA leaders in Dublin. As an intelligence coup it was a breathtaking . To understand the motivations of the Intelligence Services is like trying to understand the moves of a Grandmaster based on a study of tiddlywinks. One reason the authorities wanted to distance themselves from Raymond O’Connor was that his story was well there isn’t a word for it… hyperpreposterous. According to Raymond O’Connor he was driven by conscience to report his step-son Thomas Maguire’s activities. If we believe him the authorities let a casual informer motivated by conscience go over to Dublin to discuss an operation in the Fylde by the Provisionals. Raymond O’Connor did more than discuss the project he initiated it by saying that the SAS and RUC trained at Weeton Barracks. Raymond O’Connor was an Intelligence asset before his meeting with Thomas Maguire. He suggested the Weeton Operation and he went to Dublin and promoted the operation. In other words he instigated the operation. British Intelligence promoted the operation to draw in a skilled bomber and his contacts. At a guess the Intelligence Services were hoping to locate a cache of explosives that the Provisionals had on the mainland. If they located the cache… and if there was to be a bombing Raymond O’Connor would have to have contact with the cache, they would not reveal its existence but keep it under surveillance. In this way they could thwart IRA operations without the IRA understanding how this was done. This in itself would create tensions because the Intelligence Services hinted that they had highly placed informants. This may have been true or it may have been propaganda or both. By a majority the jury found Thomas Magee Not Guilty. The Jury knew a fishy story when they heard one. The priority of the Intelligence Services was to locate an IRA explosives cache and the priority of the Provisionals was to evaluate the reliability of the Blackpool connection possibly with the Imperial Hotel as a target. The whole Weeton bombing plan might have been a red herring. But who knows isn’t telling. Patrick Magee was interested in the the Conservative Party Conference at the Imperial Hotel in October 1983. As regards the trial it looks as if the Intelligence Services are not trying to convince the jury or anybody. We do not know what happened to Raymond O’Connor. He would need to assume a new identity and resettle in some other part of the country. He would have been helped by British Intelligence. We do not know what his partner, Thomas Maguire’s mother, thought about Raymond O’Connor giving evidence against her son Thomas Maguire. We do not know what went on in the mind of Raymond O’Connor. We can admire people we do not like or understand and Raymond O’Connor’s courage in meeting leaders of the Provisional IRA was a sensational display of chutzpah. ← Blackpool Serial Killers: Peter Manuel. Did Hannibal Lecter serve ice-creams on the Golden Mile? I was a Warrant Officer stationed with 2LI in Weeton Camp in 1983. On an April Sunday morning my wife and I decided to drive to the nearest garden centre and buy a greenhouse. As we passed The Eagle & Child at about 1030 I noticed a white van stopped opposite. 2 men got out and opened the back door from which emerged a third man carrying a filled army kit bag. This caught my attention immediately as it was an item hardly ever used since the 1960’s. I told my wife and drove on another half mile where I knew a Special Branch car would be parked – these guys had been eating in our mess for some time and it was clear that they were on an OP. I pulled in, told them my concerns and, as I was speaking, the van drove up towards us. They took off after it telling me to get my vehicle off the road for a month or so ‘just in case’. They drove the van off the road a mile or so further on and i never heard or saw them again. Not so much as a credit – but perhaps that’s just as well. Thanks for this… fascinating… wonderful to have first hand information. If I had to bet I’d say the whole thing was a double bluff between British Intelligence and the PIRA testing their Blackpool contacts. But I’ve been wrong about practically everything else.